If you missed Part 1, 2, 3, 4, 5 or 6, read them here. Both sharing and forgiveness generate experiences of gratitude.105 When one person gives kindly to another, the natural response of the recipient is gratitude. When mutual sharing takes place, the effect is often mutual gratitude. 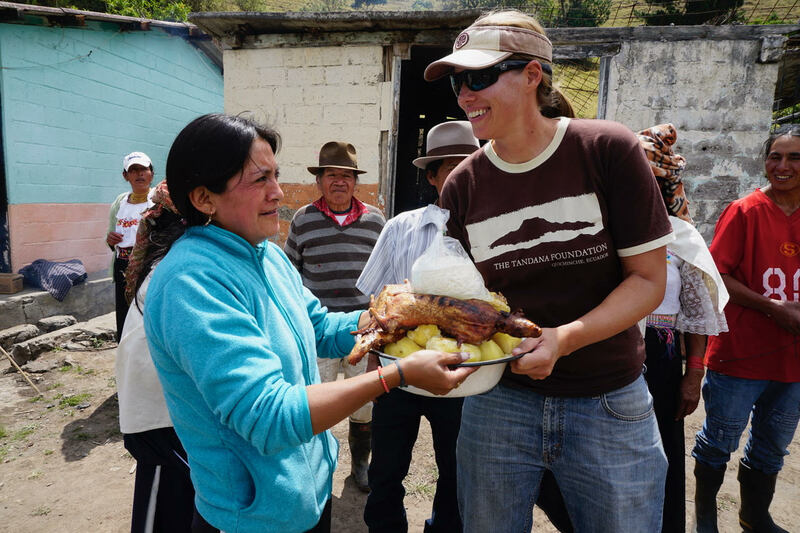 This mutual gratitude is often shared by community members and Tandana volunteers. During the first Tandana volunteer program in Kansongho, Mali, the volunteers expressed amazement at the generosity of the villagers, who had few material possessions relative to the volunteers, but gave freely of their peanuts, cloth, jewelry, and other gifts, as well as sharing their time, daily activities, and culture with the visitors. Pebelou Tembiné, one of the elders of Kansongho, meanwhile, expressed wonder at the fact that this group of Americans who had no necessity forcing them to leave their country, had traveled so far to reach Kansongho, and then, once they were there, had agreed to carry rocks on their heads to assist with the building project. great generosity of the women who had cooked delicious meals for the visiting students each day; the commitment of Alberto, who had worked late each evening in order to ensure the tank would be finished by the time the students departed; and the joy shared by Angela, who kicked off the dancing during the farewell ceremony. We each expressed appreciation for what the other had shared and concern that the other would get tired of us. We each tried to allay the other’s concern, reiterating our thankfulness. Sharing allows for deep experiences of mutual gratitude. Forgiveness also leads to experiences of gratitude. As Kearney explains, “forgiveness is a ‘marvel’” with “a certain gratuitousness.”106 Because it is not owed or expected, it gives rise to gratitude. I was, quite frankly, amazed by Modibo’s response to my apology and filled with appreciation. An effort to seek understanding of a shared humanity across difference does not depend on a domestication of that difference. Mehta contrasts the vision of difference contained within a familiar structure, which he calls “the cosmopolitanism of reason,” with what he calls the “cosmopolitanism of sentiments.”110 He cites Edmund Burke as an exemplar of the latter outlook, noting that Burke’s “thought is pitched at a level that takes seriously the sentiments, feelings, and attachments through which peoples are, and aspire to be, ‘at home.’”111 Such a view involves openness to the unfamiliar, “undergirded by humility and a concern with the sentiments that give meaning to people’s lives,” and leads to a risky conversation in which understanding across boundaries of difference may or may not be achieved. Mehta suggests that this perspective is cosmopolitan in that it “holds out the possibility, even the hope, that through the conversation, which has as its purpose the understanding of the sentiments that give meaning to people’s lives, wider bonds of sympathy can be forged.”112 This perspective involves thinking “in terms of concepts through which the coherence of other peoples’ lives can, in principle, become evident as a concrete and experienced reality,”113 and is based on “an ontology in which life, at least human life, occurs within the fold of an arch of certain characteristic modes of human experience that involve fear, pain, interiority, desire, and a sense of continuity linking past and future.”114 A perspective like the “cosmopolitanism of sentiments” allows us to seek understanding across difference, trusting that there are some things we share as human beings and yet refusing to make detailed assumptions about what these are. The intercultural experiences that Tandana facilitates make possible greater awareness of what it is to be human. 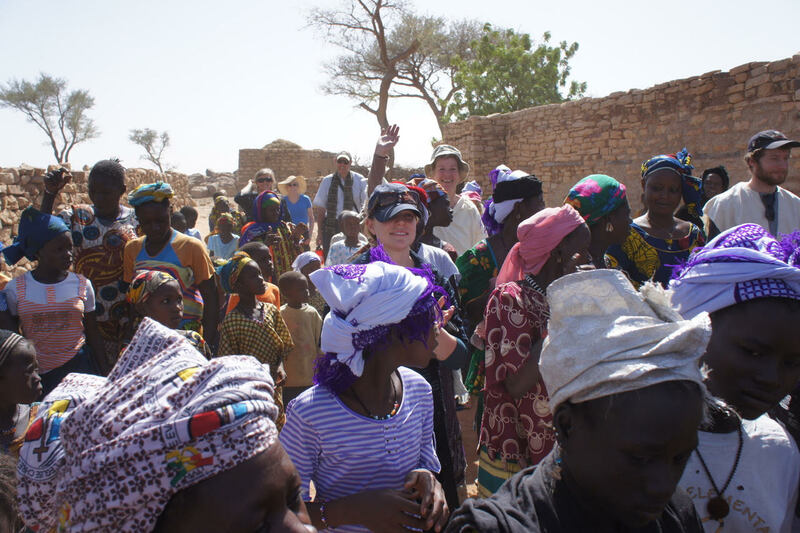 When I took a group of volunteers to Kori- Maoundé, Mali, several local leaders led us on a tour of the village. One stop was the grande famille home, the building that represented the founders and ancestors of the village. The chief, Amadou Napo, explained that there was a stone inside the house called the worry stone. If a man had too many worries, he could sit on that stone, cover his face with his hands, and confess his troubles honestly to the ancestors. Through this act he would find relief. The volunteers each wanted to take a turn sitting on the stone, and I asked if that would be okay. Amadou agreed, and we all went outside except for Susan who would sit on the stone first. As we gathered outside the doorway, Amadou and his companion Boureima started laughing out loud. They simply could not believe that Americans would have worries too. Americans had plenty of money, and they assumed that lack of money was the source of worries. This moment illuminated something for both hosts and visitors, revealing to the Malians that money was not the only reason for worry and removing any illusions the Americans might have had about a simpler, carefree village life. It suggested to all of us that perhaps part of being human is to worry. Both hosts and visitors who meet through Tandana express awareness of humanity through the three levels of meaning. 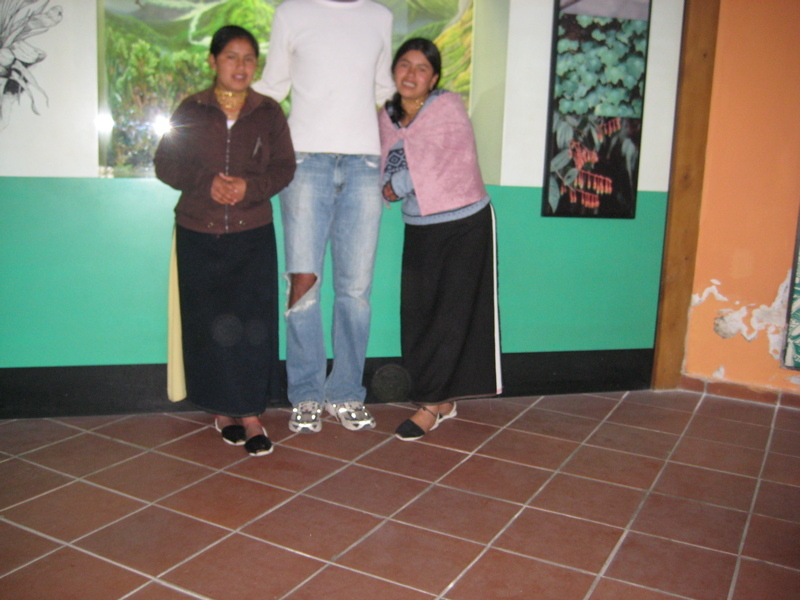 Volunteer Pat Pahl wrote, “I have a new perception on humanity after being in Kansongho!”119 Cristina Fuerez of Panecillo, Ecuador writes that experiences with North Americans have taught her that many people, “are interested in learning about the many cultures that exist in the world, since this differentiates us and identifies us,”120 highlighting low order meaning. J.P. Nelson from California wrote, “For people looking to greatly expand their understanding of the common bonds of humanity while learning about the Otavaleño people and their traditions and current conditions, I highly recommend Tandana,”121 alluding to both low and middle order meaning. 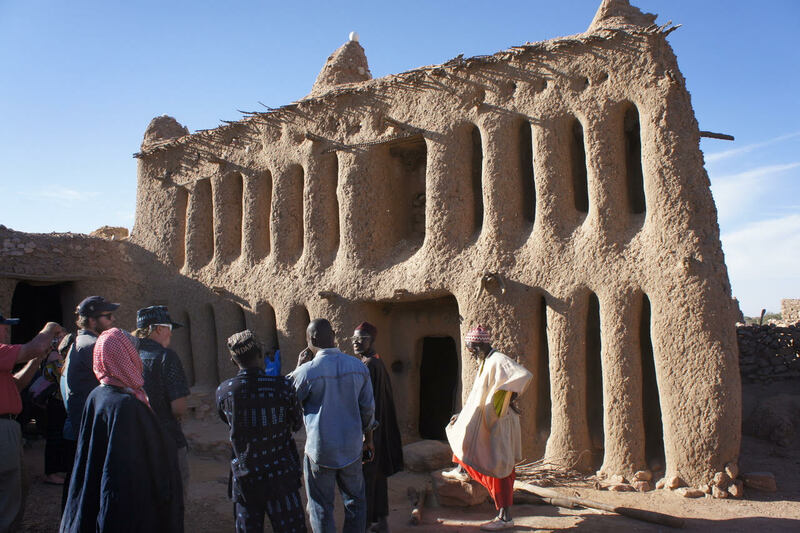 After describing what she experienced in Kansongho, Mali, volunteer Julie Lundquist alluded to the first two levels of meaning, writing, “I can only hope that both the differences and similarities of our cultures enhanced each other. We are indeed one people sharing far more than I ever imagined. . . . 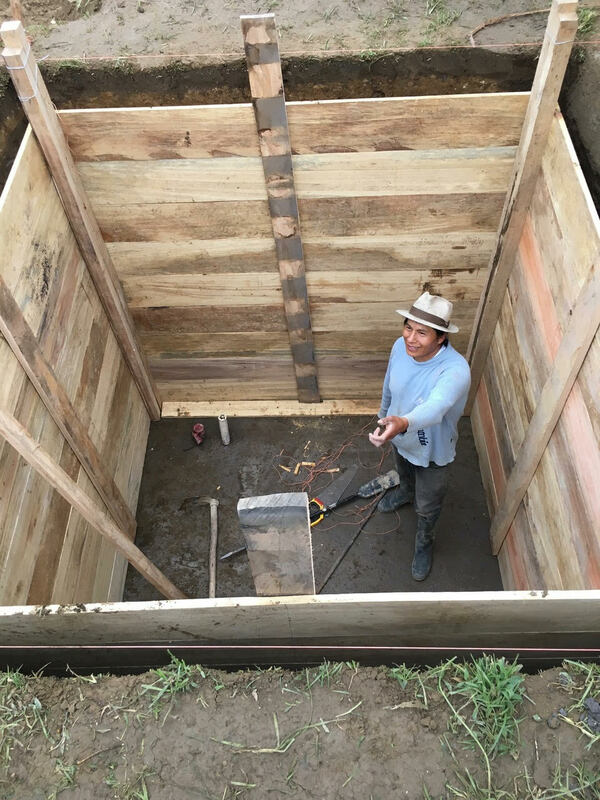 Through my intention to learn more about the amazing people in Kansongho, I learned much about myself, about living fully and joyfully, and how thankful I am to be alive!”122 Fabian Pinsag, President of Muenala, Ecuador, said, “We understand each other. We communicate, and I think that is a great achievement for human beings, to know that even though we are from different countries, we are one,”123 hinting at both middle and high order meaning. 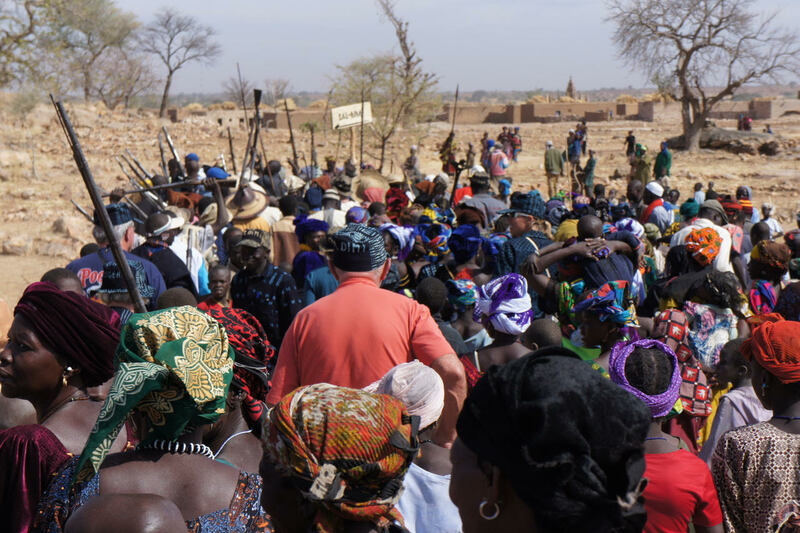 Rappaport’s high order meaning is perhaps best exemplified in Tandana experience through the welcome events that Malian hosts offered to visiting volunteers. Volunteer Carol Peddie described the experience, tearing up as she recalled its power, “When we drove up in a caravan of 4×4 vehicles, and the whole community was there with song and drums and open arms to meet us and greet us, it was overwhelming. It was emotional, it really was. . . . It was such a welcoming experience. I didn’t expect that, and obviously it’s stayed with me.”124 Moving in rhythm with a large group of people to drum beats, songs, and rifle shots led to an ineffable feeling of unity. 105 Arrows 16 and 17 on the diagram. 107 Arrows 18 and 19 on the diagram. 108 Butler, Judith. Precarious Life: The Powers of Mourning and Violence (London: Verso, 2004), 20. 115 Rappaport, Roy A., Ritual and Religion in the Making of Humanity (Cambridge: Cambridge University Press, 1999), Kindle Locations 1205-1207. 116 Ibid., Kindle Locations 1213-1214. 118 Ibid., 144, emphasis in original. Si te perdiste la Parte 1, 2, 3, 4, 5 y 6, léelas aquí. Tanto el compartir como el perdón generan experiencias de gratitud.105 Cuando una persona se muestra amable con otra, la respuesta natural del receptor es la gratitud. Cuando se produce el intercambio mutuo, el efecto es a menudo una gratitud mutua. Esta gratitud mutua a menudo es compartida por miembros de la comunidad y voluntarios de Tandana. Durante el primer programa de voluntarios de Tandana en Kansongho, Mali, los voluntarios expresaron su asombro por la generosidad de los aldeanos, quienes tenían pocas posesiones materiales en relación con los voluntarios, pero dieron libremente sus cacahuetes, ropa, joyas y otros regalos, así como compartir su tiempo, actividades diarias y cultura con los visitantes. Pebelou Tembiné, uno de los ancianos de Kansongho, por su parte, expresó asombro por el hecho de que este grupo de estadounidenses que no tenían la necesidad de abandonar su país, habían viajado tanto para llegar a Kansongho, y luego, una vez que estaban allí, acordaron llevar rocas sobre sus cabezas para ayudar con el proyecto de construcción. Tanto los visitantes como los anfitriones fueron superados con gratitud por la franqueza, generosidad y buena voluntad del otro. No hace mucho recibí la visita de Alberto Panamá, líder de la comunidad de Motilón Chupa, Ecuador, que recientemente había recibido a un grupo de voluntarios de Tandana. “Estamos muy felices”, dijo, refiriéndose a la asociación de la comunidad con Tandana, el apoyo de Tandana con su tanque de riego y la visita de los estudiantes voluntarios. “Estamos felices”, respondí, recordando gran generosidad de las mujeres que cocinaron comidas deliciosas para los estudiantes visitantes todos los días; el compromiso de Alberto, quien había trabajado tarde cada noche para asegurarse de que el tanque estuviera terminado para cuando los estudiantes se fueran; y la alegría compartida por Angela, quien dio inicio al baile durante la ceremonia de despedida. Cada uno de nosotros expresó su aprecio por lo que el otro había compartido y la preocupación de que el otro se cansaría de nosotros. Todos intentamos disipar la preocupación del otro, reiterando nuestro agradecimiento. Compartir permite profundas experiencias de gratitud mutua. El perdón también conduce a experiencias de gratitud. Como explica Kearney, “el perdón es una “maravilla” con “una cierta gratuidad”.106 Porque no se debe ni se espera, da lugar a la gratitud. Me sorprendió, francamente, la respuesta de Modibo a mi disculpa y me llenó de aprecio. Ambas experiencias de diferencia y auto reflexión conducen a una mayor comprensión de la condición humana.107 Los peligros de extrapolar una “naturaleza humana” universal a partir de la experiencia de un solo entorno cultural están bien documentados y la categoría de humanidad universal se ha deconstruido basándose en La falacia de tomar una versión particular como universal. Un esfuerzo por buscar la comprensión de una humanidad compartida a través de la diferencia no depende de la domesticación de esa diferencia. Mehta contrasta la visión de diferencia contenida dentro de una estructura familiar, que él llama “el cosmopolitismo de la razón”, con lo que él llama el “cosmopolitismo de los sentimientos”.110 El cita a Edmund Burke como un ejemplo de la última perspectiva, señalando que el “pensamiento de Burke se proyecta a un nivel que toma en serio los sentimientos, sentimientos y apegos a través de los cuales los pueblos son, y aspiran a estar” en casa .” 111 una visión implica apertura a lo desconocido, “respaldada por la humildad y una preocupación por los sentimientos que dan sentido a la vida de las personas”, y conduce a una conversación arriesgada en la que se puede o no lograr una comprensión a través de los límites de la diferencia. Mehta sugiere que esta perspectiva es cosmopolita, ya que “ofrece la posibilidad, incluso la esperanza, de que a través de la conversación, que tiene como propósito comprender los sentimientos que dan sentido a las vidas de las personas, los lazos de simpatía pueden ser falsificados “.112 Esta perspectiva implica pensar “en términos de conceptos a través de los cuales la coherencia de las vidas de otras personas puede, en principio, hacerse evidente como una realidad concreta y experimentada”,113 y se basa en “una ontología en la que la vida, al menos la vida humana , ocurre dentro del pliegue de un arco de ciertos modos característicos de la experiencia humana que involucran miedo, dolor, interioridad, deseo y un sentido de continuidad que une el pasado y el futuro “.114 Una perspectiva como el” cosmopolitismo de los sentimientos “nos permite buscar entendiendo a través de la diferencia, confiando en que hay algunas cosas que compartimos como seres humanos y, sin embargo, nos negamos a hacer suposiciones detalladas sobre cuáles son. Para Rappaport, “Mientras que el hogar del significado de orden bajo es la taxonomía y el vehículo del significado del orden medio es la metáfora, la participación es el camino hacia el significado de orden alto”.116 La conciencia de la experiencia humana en estos tres niveles de significado es posible a través de las experiencias de la diferencia acompañada de la auto-reflexión. Cuando descubrimos las diferencias en nuestros idiomas, comida, vestimenta y estilos de vida, aprendemos a través del orden bajo, lo que significa que hay muchas formas de ser humano. Cuando nos damos cuenta de que las diferentes expresiones culturales a menudo surgen de los mismos valores subyacentes, aprendemos a través de un significado de orden medio sobre similitudes humanas inesperadas. Cuando participamos en expresiones comunales de alegría o tristeza, sentimos a través de un orden superior que significa nuestra unidad como seres humanos. Las experiencias interculturales que facilita Tandana hacen posible una mayor conciencia de lo que es ser humano. Cuando llevé a un grupo de voluntarios a Kori- Maoundé, Mali, varios líderes locales nos llevaron en un recorrido por el pueblo. Una parada fue la casa de la gran familia, el edificio que representaba a los fundadores y ancestros del pueblo. El jefe, Amadou Napo, explicó que dentro de la casa había una piedra llamada piedra de la preocupación. Si un hombre tuviera demasiadas preocupaciones, podría sentarse en esa piedra, cubrirse la cara con las manos y confesar sus problemas honestamente a los antepasados. A través de este acto encontraría alivio. Cada uno de los voluntarios quería tomar un turno sentado en la piedra, y les pregunté si eso estaría bien. Amadou estuvo de acuerdo, y todos salimos, excepto Susan, que primero se sentaría en la piedra. Cuando nos reunimos afuera de la puerta, Amadou y su compañero Boureima se echaron a reír a carcajadas. Simplemente no podían creer que los estadounidenses también tendrían preocupaciones. Los estadounidenses tenían mucho dinero y asumían que la falta de dinero era la fuente de preocupaciones. Este momento iluminó algo tanto para los anfitriones como para los visitantes, revelándoles a los malienses que el dinero no era la única razón para preocuparse y eliminando cualquier ilusión que los estadounidenses pudieran haber tenido acerca de una vida de aldea más sencilla y sin preocupaciones. Nos sugirió a todos que tal vez parte del ser humano es preocuparse. Tanto los anfitriones como los visitantes que se encuentran a través de Tandana expresan la conciencia de la humanidad a través de los tres niveles de significado. El voluntario Pat Pahl escribió: “Tengo una nueva percepción sobre la humanidad después de estar en Kansongho! ”119 Cristina Fuerez, de Panecillo, Ecuador, escribe que las experiencias con los norteamericanos le han enseñado que muchas personas” están interesadas en conocer las muchas culturas que existen en el mundo, ya que esto nos diferencia e identifica”,120 destacando el significado de orden bajo. JP Nelson, de California, escribió:” Para las personas que buscan ampliar en gran medida su comprensión de los lazos comunes de la humanidad mientras aprenden sobre el pueblo Otavaleño y sus tradiciones y condiciones actuales, recomiendo altamente a Tandana “,121 aludiendo a ambos significados de orden medio y bajo. Después de describir lo que experimentó en Kansongho, Mali, la voluntaria Julie Lundquist aludió a los dos primeros niveles de significado, escribiendo: “Solo puedo esperar que tanto las diferencias como las similitudes de nuestras culturas se intensifiquen mutuamente. De hecho, somos personas que compartimos mucho más de lo que nunca imaginamos. . . .
A través de mi intención de aprender más sobre las personas increíbles en Kansongho, aprendí mucho sobre mí mismo, sobre vivir plena y felizmente y ¡cuán agradecido estoy por estar vivo! “. Fabian Pinsag, Presidente de Muenala, Ecuador, dijo:” Entendemos El uno al otro. Nos comunicamos, y creo que es un gran logro para los seres humanos, saber que aunque somos de diferentes países, somos uno “,123 insinuando tanto el significado de orden medio y alto. El significado de alto orden de Rappaport tal vez se ejemplifique mejor en la experiencia de Tandana a través de los eventos de bienvenida que los anfitriones malienses ofrecieron a los voluntarios visitantes. La voluntaria Carol Peddie describió la experiencia, rompiendo en llanto mientras recordaba su poder: “Cuando conducíamos en una caravana de vehículos 4×4, toda la comunidad estaba allí con canciones y tambores y brazos abiertos para recibirnos y saludarnos, fue abrumador. Fue emocional, realmente lo fue. . . . Fue una experiencia tan acogedora. No esperaba eso, y obviamente se quedó conmigo “.124 Moverse al ritmo de un gran grupo de personas a ritmos de batería, canciones y disparos de rifle condujo a una inefable sensación de unidad. Si vous avez manqué la Partie 1, 2, 3, 4, 5 et 6, lisez-la ici. Le partage et le pardon génèrent des expériences de gratitude.105 Quand une personne est gentille avec une autre, la réponse naturelle du destinataire est la gratitude. Lorsque des échanges mutuels ont lieu, l’effet est souvent une gratitude mutuelle. Cette gratitude mutuelle est souvent partagée par les membres de la communauté et les bénévoles de Tandana. Au cours du premier programme de volontaires de Tandana à Kansongho, au Mali, les volontaires ont exprimé leur étonnement devant la générosité des villageois, qui possédaient peu de biens matériels par rapport aux volontaires, mais ils ont également donné gratuitement leurs arachides, vêtements, bijoux et autres comme partager le temps, leurs activités quotidiennes et leur culture avec les visiteurs. Pebelou Tembiné, un des aînés de Kansongho, a exprimé son étonnement devant le fait que ce groupe d’Américains qui n’avaient pas besoin de quitter leur pays s’était déjà rendu si loin pour atteindre Kansongho, puis là-bas, ils ont accepté de porter des pierres au-dessus de leur tête pour aider au projet de construction. Les visiteurs et les hôtes ont été saisis de gratitude pour la franchise, la générosité et la bonne volonté de l’autre. Il y a peu de temps, j’ai reçu la visite d’Alberto Panama, dirigeant de la communauté de Motilón Chupa (Équateur), qui avait récemment reçu un groupe de volontaires de Tandana. “Nous sommes très heureux”, a-t-il déclaré, évoquant l’association communautaire avec Tandana, le soutien de Tandana avec son réservoir d’irrigation et la visite des étudiants volontaires. “Nous sommes heureux”, répondis-je en me souvenant des grande générosité de femmes qui cuisinaient chaque jour de délicieux repas pour les étudiants en visite; l’engagement d’Alberto, qui avait travaillé tard chaque soir pour s’assurer que le char était terminé au moment du départ des élèves; et la joie partagée par Angela, qui a commencé la danse lors de la cérémonie d’adieu. Chacun de nous a exprimé son appréciation de ce que l’autre avait partagé et l’inquiétude de se lasser de l’autre. Nous essayons tous de dissiper l’inquiétude de l’autre, réitérant notre gratitude. Le partage permet des expériences profondes de gratitude mutuelle. Le pardon conduit également à des expériences de gratitude. Comme l’explique Kearney, “le pardon est une” merveille “avec” une certaine gratification “.106 Parce qu’il ne fallait pas s’y attendre, cela suscitait de la gratitude, j’ai été surpris, franchement, de la réponse de Modibo à mes excuses et m’a comblé appréciation. Les expériences de différence et les réflexions sur soi conduisent à une meilleure compréhension de la condition humaine.107 Les dangers d’extrapoler une “nature humaine” universelle à partir de l’expérience d’un seul environnement culturel sont bien documentés et la catégorie de l’humanité universelle a été déconstruite sur la base de l’erreur de prendre une version particulière comme universelle. Un effort pour rechercher la compréhension d’une humanité partagée à travers la différence ne dépend pas de la domestication de cette différence. Mehta oppose la vision de la différence contenue dans une structure familiale qu’il appelle “le cosmopolitisme de la raison” à ce qu’il appelle le “cosmopolitisme des sentiments”.110 Il cite Edmund Burke comme exemple de cette dernière perspective, soulignant que “la pensée de Burke est projetée à un niveau qui prend au sérieux les sentiments, les sentiments et les attachements à travers lesquels les gens sont et aspirent à être “à la maison “.111 Une vision implique une ouverture sur l’inconnu, “soutenue par l’humilité et le souci des sentiments qui donnent un sens à la vie des gens”, et conduit à une conversation risquée dans laquelle on peut parvenir à une compréhension par les limites de la différence. Mehta suggère que cette perspective est cosmopolite, car “elle offre la possibilité, même l’espoir, que par la conversation, qui a pour but de comprendre les sentiments qui donnent un sens à la vie des gens, les liens de sympathie peuvent être falsifiés “.112 Cette perspective implique de penser “en termes de concepts grâce auxquels la cohérence de la vie des autres peut, en principe, devenir évidente en tant que réalité concrète et expérimentée”113, et repose sur “une ontologie dans laquelle le la vie, au moins la vie humaine, se déroule dans le repli d’un arc de certains modes caractéristiques de l’expérience humaine qui impliquent la peur, la douleur, l’intériorité, le désir et une continuité qui unit le passé et le futur. “114 Une perspective comme le “cosmopolitanisme des sentiments” nous permet de chercher la compréhension par la différence, confiants dans le fait qu’il existe certaines choses que nous partageons en tant qu’êtres humains et, néanmoins, nous refusons de faire des hypothèses détaillées sur ce qu’elles sont. Pour Rappaport, “Bien que l’ordre inférieur soit la taxonomie et que le vecteur du sens de l’ordre moyen soit la métaphore, la participation est le chemin qui mène au sens de l’ordre supérieur”.116 La prise de conscience de l’expérience humaine à ces trois niveaux de signification est possible grâce aux expériences de différence accompagnées d’une réflexion sur soi. Lorsque nous découvrons des différences dans nos langues, notre nourriture, nos vêtements et nos modes de vie, nous apprenons par ordre croissant, ce qui signifie qu’il y a plusieurs façons d’être humain. Lorsque nous nous rendons compte que différentes expressions culturelles découlent souvent des mêmes valeurs sous-jacentes, nous apprenons par un sens moyen des similarités humaines inattendues. Lorsque nous participons à des expressions communes de joie ou de tristesse, nous ressentons un ordre supérieur qui signifie notre unité en tant qu’êtres humains. L’unité de sens élevé peut sembler en contradiction avec l’importance de maintenir la pluralité expliquée plus haut. Cependant, ces moments d’identification radicale sont en dehors du temps ordinaire. Bien que l’action ne soit pas possible dans l’état d’unité, ces expériences fournissent d’importantes leçons sur ce qu’est l’être humain. En progressant à travers ces niveaux, la conscience devient une description plus précise de ce que nous gagnons que dans la compréhension. Les expériences interculturelles facilitées par Tandana permettent de mieux prendre conscience de ce qu’est l’humain. Lorsque j’ai emmené un groupe de volontaires à Kori-Maoundé, au Mali, plusieurs dirigeants locaux nous ont fait visiter la ville. Un arrêt était la maison de la grande famille, le bâtiment qui représentait les fondateurs et les ancêtres de la ville. Le chef, Amadou Napo, a expliqué qu’à l’intérieur de la maison se trouvait une pierre appelée la pierre de l’inquiétude. Si un homme avait trop de soucis, il pourrait s’asseoir sur cette pierre, se couvrir le visage avec ses mains et confesser honnêtement ses problèmes aux ancêtres. À travers cet acte je trouverais un soulagement. Chacun des volontaires voulait prendre place son tour assis sur la pierreet je leur ai demandé si ça irait. Amadou a accepté et nous sommes tous sortis, à l’exception de Susan, qui était la première à s’asseoir sur la pierre. Quand nous nous sommes rassemblés devant la porte, Amadou et son partenaire Boureima ont éclaté de rire. Ils ne pouvaient tout simplement pas croire que les Américains auraient aussi des préoccupations. Les Américains ont beaucoup d’argent et supposent que le manque d’argent était une source de préoccupation. Ce moment a illuminé quelque chose à la fois pour les hôtes et les visiteurs, révélant aux Maliens que l’argent n’était pas la seule raison de s’inquiéter et éliminant toute illusion que les Américains auraient pu avoir sur une vie de village plus simple et insouciante. Il nous a suggéré à tous qu’une partie de l’être humain est peut-être inquiétante. Les hôtes et les visiteurs qui se rencontrent à travers Tandana expriment la conscience de l’humanité à travers les trois niveaux de signification. Le volontaire Pat Pahl a écrit: “J’ai un nouveau perception de l’humanité après son séjour à Kansongho!119 Cristina Fuerez, de Panecillo, en Équateur, écrit que des expériences avec des Nord-Américains lui ont appris que de nombreuses personnes “s’intéressent à connaître les nombreuses cultures présentes dans le monde, car cela nous différencie et nous identifie”120, soulignant le sens de ” ordre faible, JP Nelson, de Californie, a écrit: ” Pour les personnes qui cherchent à élargir considérablement leur compréhension des liens communs de l’humanité en apprenant à connaître le peuple Otavaleño et ses traditions et conditions actuelles, je recommande vivement Tandana,121 faisant allusion aux significations et à l’ordre bas. Après avoir décrit ce qu’elle a vécu à Kansongho, au Mali, Julie Lundquist, volontaire, a évoqué les deux premiers niveaux de signification en écrivant: “Je ne peux qu’espérer que les différences et les similitudes de nos cultures s’intensifieront. En fait, nous sommes des personnes qui partagent beaucoup plus que nous ne l’avions jamais imaginé. . . Par mon intention d’apprendre sur les gens extraordinaires de Kansongho, j’ai beaucoup appris sur moi-même, sur une vie pleine et heureuse et sur la reconnaissance de ma vie! ” Fabian Pinsag, président de Muenala, en Équateur, a déclaré: “Nous nous comprenons, nous communiquons et je pense que le fait de savoir que même si nous venons de différents pays est un grand exploit,” est très impressionnant pour les êtres humains “,123 insinuant à la fois le sens d’ordre moyen et élevé. La signification élevée de Rappaport est peut-être mieux illustrée par l’expérience de Tandana à travers les événements d’accueil que les hôtes maliens ont offerts aux volontaires en visite. La bénévole Carol Peddie a décrit l’expérience en pleurant tout en se souvenant de son pouvoir: “Quand nous conduisions dans une caravane de véhicules 4×4, toute la communauté était là avec des chansons et la batterie et les bras ouverts pour nous accueillir et nous saluer, c’était accablant. C’était émotionnel, ça l’était vraiment. . . . . C’était une expérience tellement accueillante. Je ne m’y attendais pas et, évidemment, elle est resté avec moi. Un rythme de tambour, de chants et de coups de fusil entraînés par le rythme d’un grand groupe de personnes a conduit à un sens ineffable de l’unité.